Giovanni Battista Di Quadro was a Polish-Italian architect who was born near Lugano (today Lugano is known as Switzerland). Unfortunately, the exact year he was born is unknown, however, it is believed that he was born in the late-early 1500's. 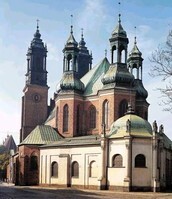 He spent most if not all his life working in Poland. 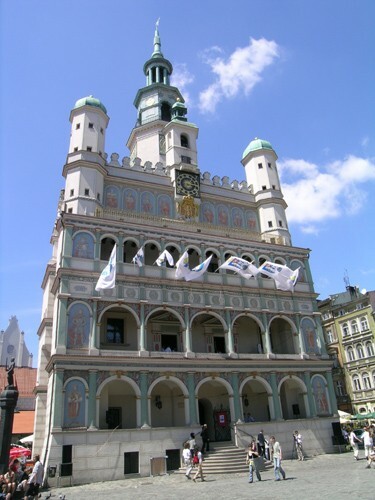 Most of it, he spent working on odd-jobs in Poznan. It is believed that he died between 10 April 1590 and 16 January 1591. Most of his childhood is unknown. It is unknown how he was trained to become an architect, and his home life is a mystery. Everything known about him is what he designed. He was the architect behind the Poznan town hall (which is still standing today), he oversaw the building of what is now the Royal Castle in Warsaw. 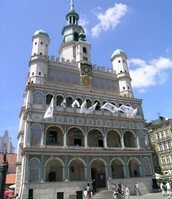 He was the City Architect in Poznan from 1552 to 1562. 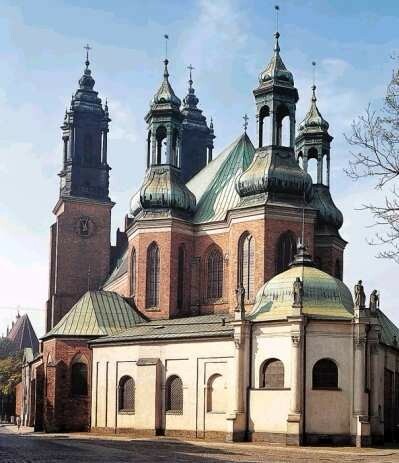 He was hired by the Pope to renovate the Poznan Cathedral, and was hired by various other people to do other minor works as well. He was able to retire as wealthy and happy. This town hall is arguably the most amazing building di Quadro built. It is very big, the attention to detail is amazing, and there is artwork decorating the outside and some of the inside. Miraculously, this building is still standing today, and you can go inside of it. 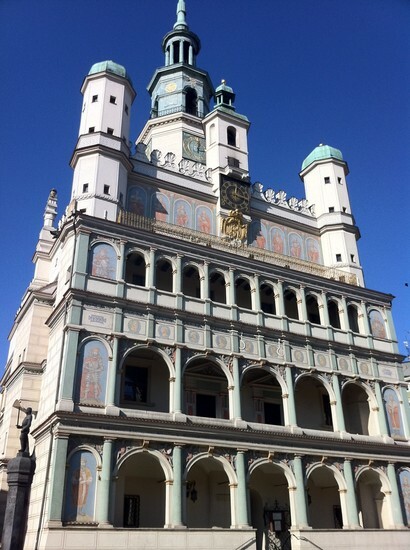 DI Quadro began this building on March 13th, 1550, and finished in the 1560's. This town hall is a building that most represents Humanism, because people could gather there and have a meeting, or get the entire town into and around it for a town-wide announcement. It really doesn't have anything to do with religion, or Gods of any sort. I find this building interesting, because it took them about ten years to build, and it has been standing for five centuries. I think that is a very impressive accomplishment for a building built in the 1500's. Wikipedia. "Giovanni Battista Di Quadro." Wikipedia. Wikimedia Foundation, 26 Oct. 2013. Web. 17 Nov. 2013.